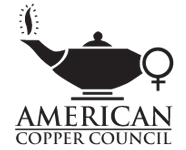 The American Copper Council is a not-for-profit trade association representing all segments of the copper industry. Incorporated in 1975, the Council's 150 member companies include producers, scrap dealers, brass and wire mills, fabricators, consumers, merchants and brokers. The major emphases of the ACC are education and networking. To that end, the organization sponsors two meetings annually designed to bring members of the industry together to discuss issues of common concern. Each meeting provides a forum for industry leaders to share their knowledge with decision-making executives from the copper industry. Copper College is held biennially and is the Council's keystone event. The full educational program is made up of panels, workshops and presentations combined with several recreational and social opportunities. In attendance are more than 200 senior executives who serve as CEO's, CFO's, purchasing managers, and marketing executives representing all areas of the copper industry, including producers, wire and brass mills, merchants and brokers, scrap dealers and consumers. Why should your company become a member? Among the benefits of membership are significant discounts on your two annual meeting registrations per attendee, listing of your company in our on-line membership directory, the opportunity to serve on committees and the board of directors as well as offer your company the opportunity to have a presenter at a meeting. We’re the largest membership association exclusively for companies on the commercial side of copper and our members take pride in their association with us. Our meetings are held throughout the country and offer exceptional on-site networking opportunities as well as a lot of fun! Ready to join?